By now, we have all caught the Stranger Things fever that’s sweeping the nation. 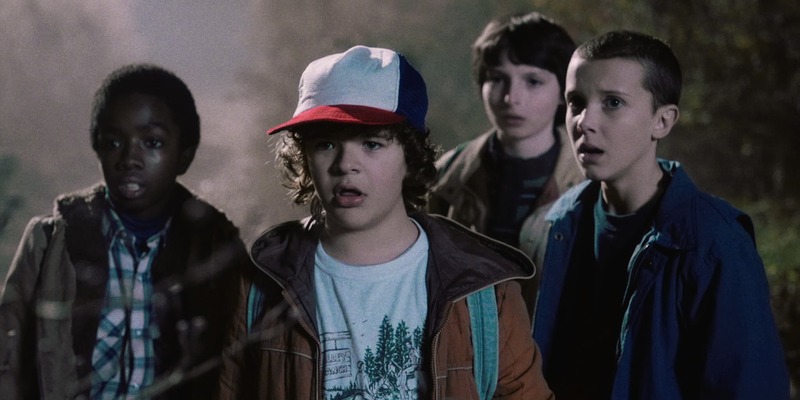 A group of small children fighting the forces of evil in a town that reminds us of Twin Peaks? Yes, please! Sign us up. Well, now we can all enjoy the Stranger Things 8-bit game someone actually made. Do you hear that amazing music? It’s so good! Since the original title sequence is going to go down in history as one of the best ones, it’s no wonder that it’s being commemorated by a video game. Also, this really fits in with the ’80s theme, since video games really took off around that time. If you followed the Netflix series to its conclusion, this video game is a summation of all the coolest parts of the show in 8-bit form. There is a chase scene on bikes where the gang tries to get away from the bad guys. The Byers house plays a midi version of The Clash’s “Should I Stay or Should I Go” in the background while the action is happening. There is even a final showdown between Eleven and the Demogorgon. If you liked Super Mario Brothers games growing up, this will be a nostalgic reminder.